Product #21647 | SKU LS-T05 | 0.0 (no ratings yet) Thanks for your rating! 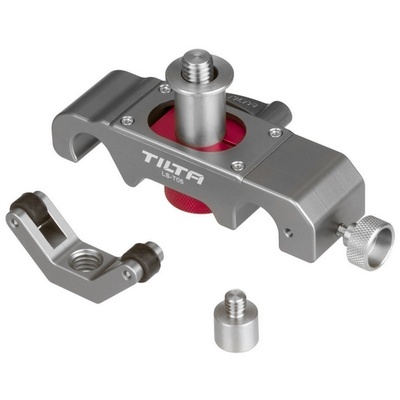 The Tilta LS-T05 is a new version of the lens support and is now in silver anodised aluminium, and has more pro features than the previous version. The C shape lens support has soft rubber rollers that cushion the lens without scratching. The support can even be removed when using cinema lenses so the clamp can be screwed directly into the lens or the lens collar.